Las Vegas bakery The Cupcakery just debuted this cupcake - read more about it below and visit thecupcakery.com for more information (they have two Vegas locations). They're $3.25 or $36 for a dozen. 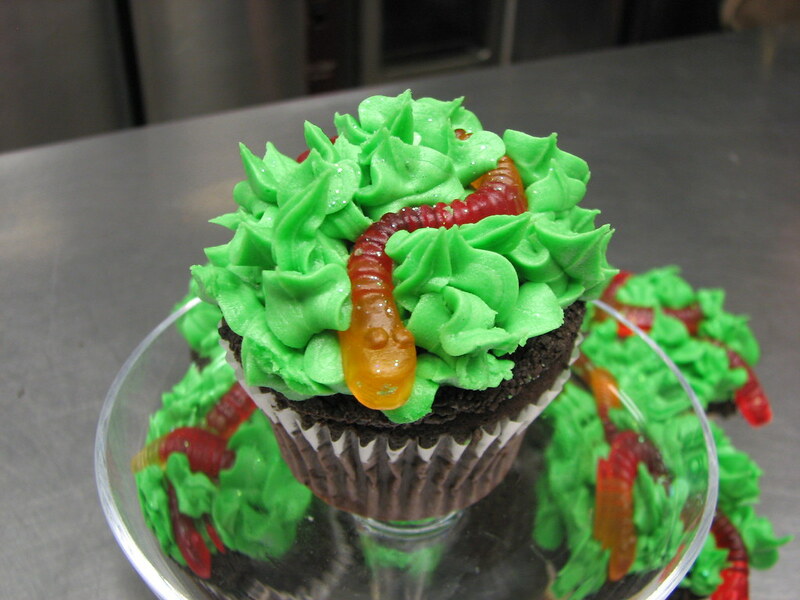 The Cupcakery, Las Vegas’ premier cupcake bakery, announces the debut of “Snake in the Grass,” the bakery’s newest cupcake. This sweet and sassy cupcake is made with chocolate or vanilla cake, topped with green chocolate frosting, then rolled in chocolate crunch and topped with a gummy worm. Just to prove perception isn’t everything, even though these “Snake in the Grass” cupcakes would be perfect for a frenemy or someone who has secretly done you a dirty deed, these cute, sweet and tasty treats are the ultimate gift to say “thank you” to a teacher as the school year starts up. You can also surprise your gardener, your neighbor or even your favorite veterinarian. Sometimes the things that seem a little down and dirty at first glance are really the nicest surprises of all! The “Snake in the Grass” cupcake is available for purchase individually or by the dozen at The Cupcakery’s Summerlin and Eastern locations as well as Texas locations. Those Snake in the Grass cupcakes are adorable!